The caterpillar has stinging spines that should be avoided. 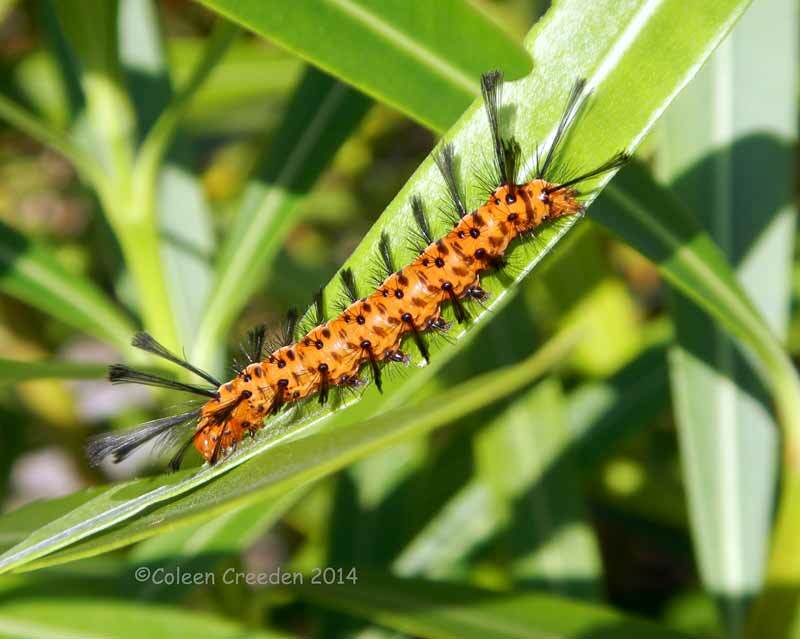 It is also known as the Oleander caterpillar. 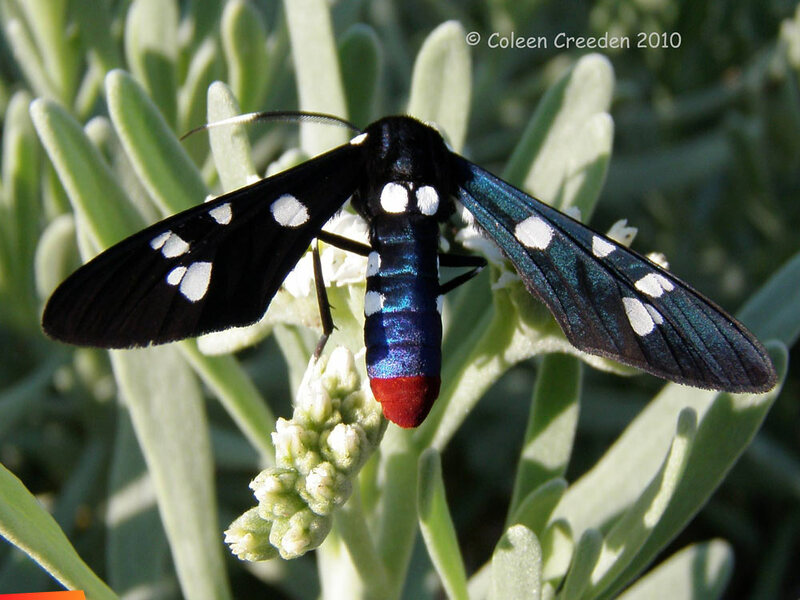 The caterpillars are more commonly seen then the adult moth. Hence the warning about the stinging spines. And heads up that the adult moth is near by. Their larval host plants are oleander and allamanda which are common landscape plants. Gardeners can get stung while pruning, which is good reason to wear gloves.